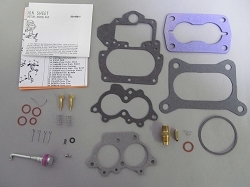 Stromberg WW, 2 barrel carburetor rebuild kit. 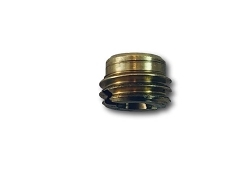 Made of high quality parts made in the USA. You will not find a better kit than this one. More complete and better fitting. Accelerator pump size: 2 7/8" overall, 3/4" cup size. 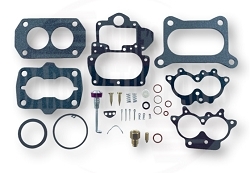 The WW carburetor is of down-draft double barrel type. 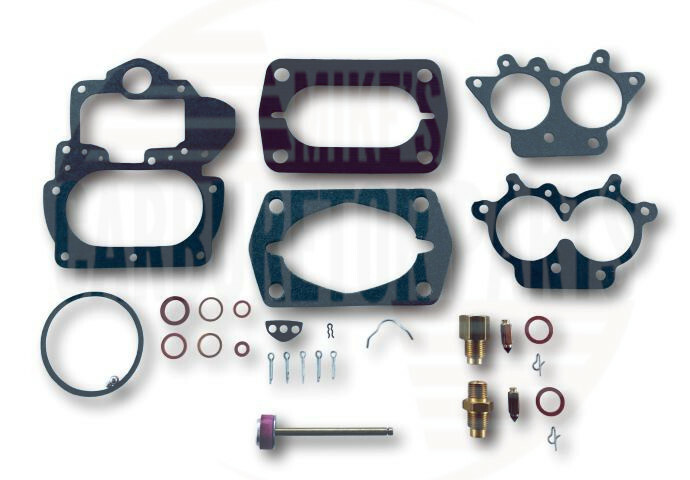 Each barrel of carburetor has its own idle system, main metering system and throttle valve. The idle and main metering systems are supplemented by the float system, the accelerating system, and the power system. 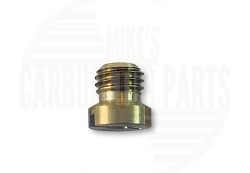 The carburetor is equipped with a manual type choke control. The choke lever is connected to the throttle linkage to provide fast idle speed position during the choke period. 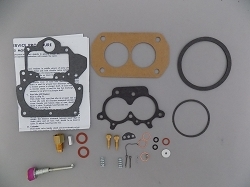 The carburetor has an identification part number tag on the air horn cover, adjacent to the fuel inlet. 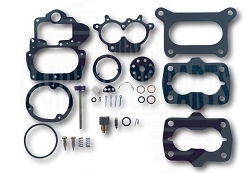 Top quality kit at a really good price, quick service to the UK. Will use again. These are good kits. It even has the unique "threaded-on-both-ends" needle seat required for certain applications of Stromberg WW carbs. 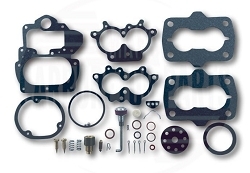 A: This kit may work for you, it isn't number matching so be sure that one of the throttle body gaskets illustrated in the kit photo matches the one on your carb, everything else should be fine. 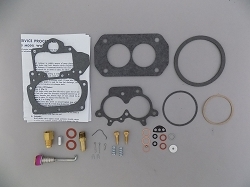 Q: will this kit rebuild a 1956 dodge Stromberg model WW carburetor?